That 1990’s tramp stamp getting you down? Alas, a new tattoo removal patch is here. 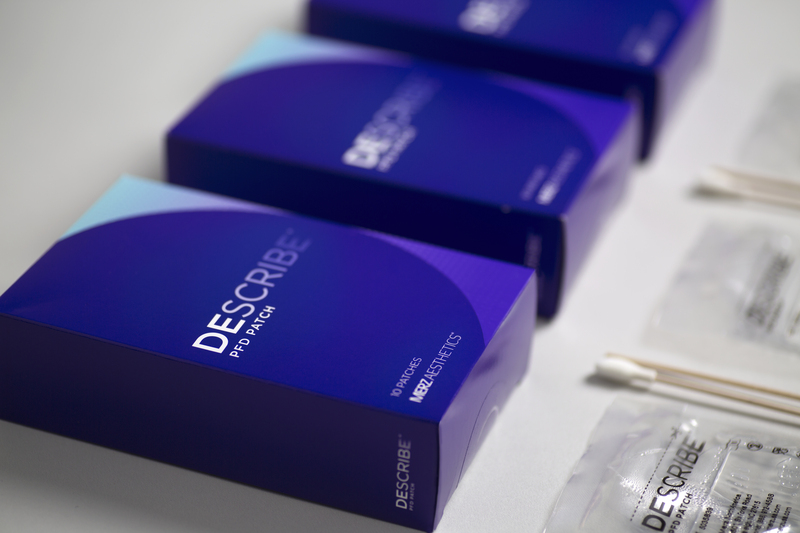 The DESCRIBE PFD Patch is a silicone patch infused with perfluorodecalin (PFD) that allows rapid multiple laser passes in a single tattoo removal treatment session and helps the laser reach ink particles deep within the skin. The Patch allows up to 4x as many passes per office visit. 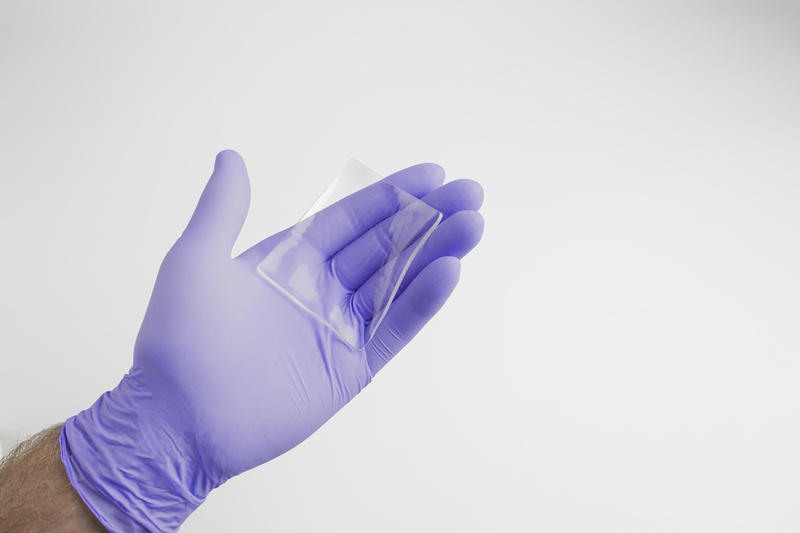 In a recent clinical trial, patients reported less discomfort and faster healing with the Patch, ultimately reducing the time to clearance. 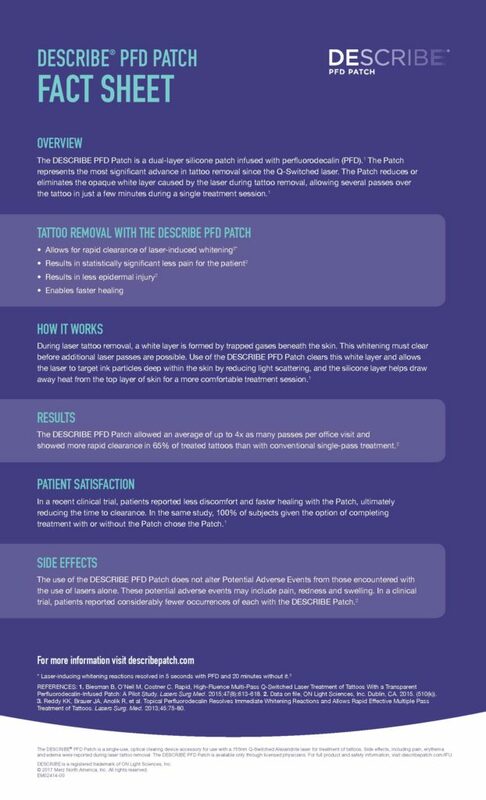 In the same study, 100% of subjects given the option of completing treatment with or without the Patch chose the Patch. 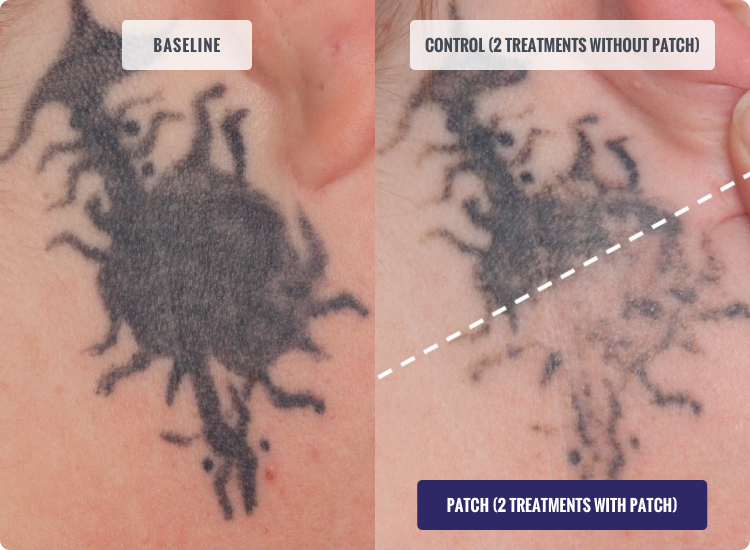 The FDA-cleared DESCRIBE Patch is the only product of its kind on the market.